Location! Location! 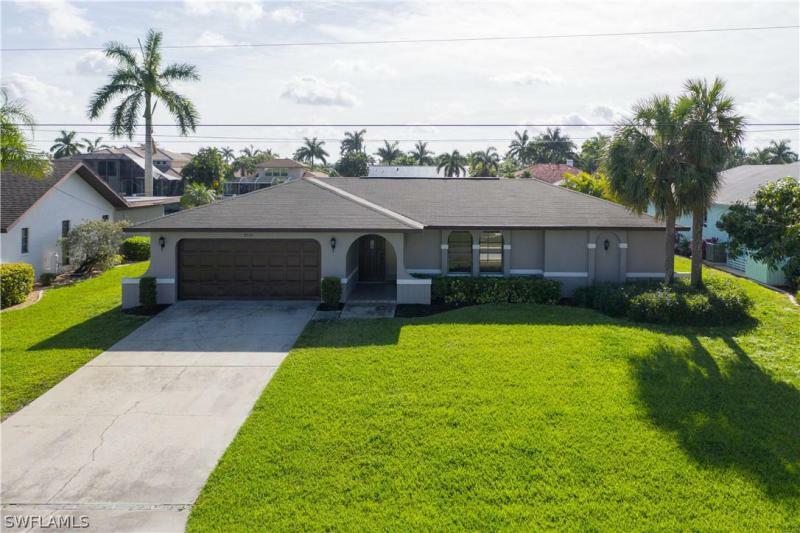 Location!gulf access pool home in a highly sought after neighborhood in unit 67, south of el dorado pkwy near the westin & tarpon point resort & marina. Enter thru a tiled foyer with access to a formal living/dining area and to the open family room. There are many access points to your private pool overlooking this extra wide gulf access canal. City utilities are in and paid here and the home is on a cul-de-sac. Are you a boater? Take a short ride out to the gulf of mexico. Sw florida is home to some of the top beaches in the us including fort myers beach, sanibel and captiva islands etc. This home comes with a 1 year home warranty! And with a little tlc, could be stunning, to match the neighborhood! Schedule your showing today because this one won't last long! Great gulf access pool home straight shot to the river. 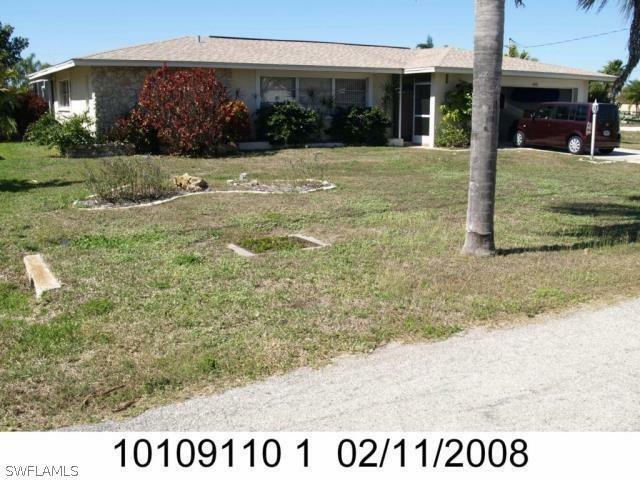 Home is priced for a quick sell has great potential home needs a little tlc. Location! Location! Location! Spectacular waterfront direct boating access to the gulf of mexico from this yacht club area home. No bridge! Located just around the corner from the bimini basin. This diamond in the rough is priced right & just waiting for your tlc. City water/sewer in & assessments paid! Attached garage. Dock with pilings & electric make installing a lift that much easier. Nice long backyard. Outside patio seating area & a generous screened lanai area. En suite master bathroom also has access to the backyard. Looks like plenty of room for a pool. Terrazzo floors. H/w heater new in 2017. Storm shutters for lanai sliders & awning-type shutters on several windows. Well-manicured lawn & landscape. Sw exposure offers beautiful sunsets in paradise. Boating access to the gulf of mexico, beaches, and surrounding islands such as cayo costa, cabbage key, sanibel, boca grand, etc. Located close to the up and coming downtown area with popular restaurants & activities. And the yacht club beach, yacht club and boathouse tiki bar just a little over a mile away. Quick access to the fort myers intl airport only about 18 miles away. This southern exposure pool home is ready for some tlc. Spacious inside and out on an oversize lot with a large rectangular heated pool to keep you comfortable all year long! Features of this home include new air conditioner with all new duct work, as well as all stainless appliances. 3 bedrooms and 2 baths with an outdoor shower and a roomy enclosed lanai under air will give you lots of space for everyday, as well as entertaining family and friends. Easy upkeep with tile and laminate flooring throughout most of the home. Whether cooking and eating at the breakfast counter or the adjoining family room, or a more formal dinner in the dining room you will enjoy the layout of this home. The location is quite convenient to getting around town for shopping, dining, schools or any other activities. Make your appointment to view this home today! Charming home on 3 lots! Fenced in and ready for a family. 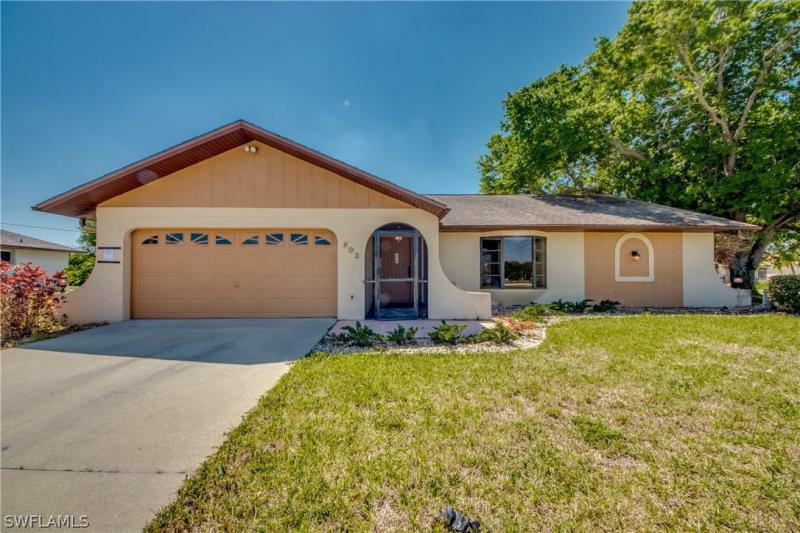 This 3 bedroom/2bath heated pool home features a living room/family room plan, walk in closets in all bedrooms, a working wood fireplace with stone wall in the family room, high volume ceilings in living room and family room. Heated solar swimming pool. The 3 lots are fenced in and ready to play. Roof is 10/04, dishwasher 2018, refrigerator 2010, air conditioner 2007. High ceilings in living room and family room with nice size split bedrooms. This coveted neighborhood is close to everything and desired by many because of the short streets with no turn offs. A little tlc and love will have this family home ready to go. Minutes to veterans parkway and anywhere you need to go north or south. Most desired southern exposure, no flood insurance, and all assessments paid! Schedule your showing today as this home will not last! Wow! Gulf access at this price won't last long. 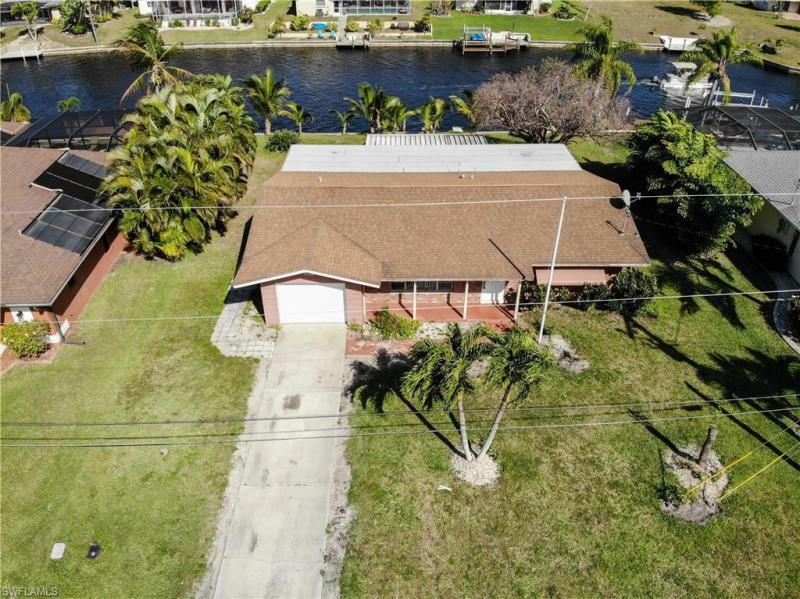 This 3 bedroom, 2 bathroom waterfront property is in a great area and location on the canal. With only 2 bridges, you can be out to the caloosahatchee in minutes. With the right tlc and handy work, this property has amazing potential. Don't wait too long to schedule your showing. You might miss this great opportunity. Schedule your showing today! If you are looking to turn a house into a home, look no further. This 3/2 house could be your dream home with a little tlc. 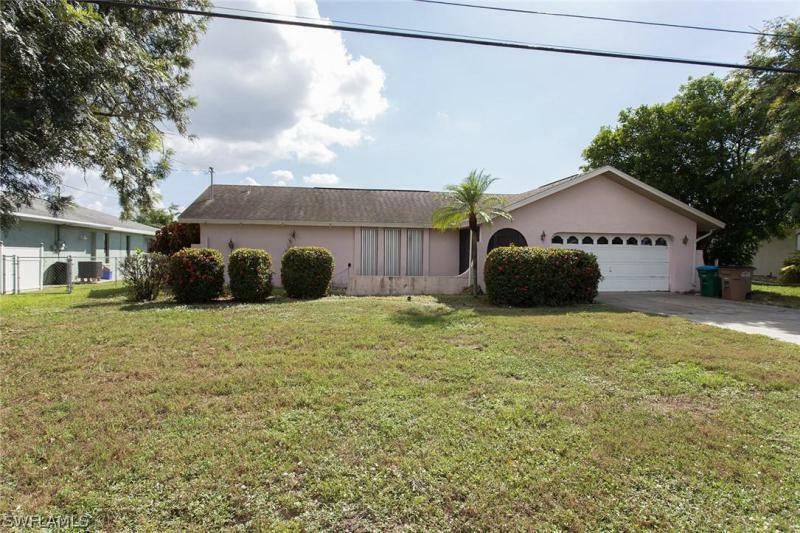 Beautiful corner lot with a large screen patio with a hot tub overlooking the backyard. The backyard is great for entertainment which also has privacy fence. The backyard has more than enough space for a pool. The kitchen has a beautiful pot rack over the kitchen island. Don't miss out on this opportunity to make this house your home. Open concept single family home in a great location. This home is oozing with potential; just a little tlc and this home will rise fast in value! Near shopping centers, with quick access to burnt store road. This property gives you vaulted ceilings, xl entryway, shaded backyard patio, a ton of natural light and new a/c installed 2017. All appliances are included! 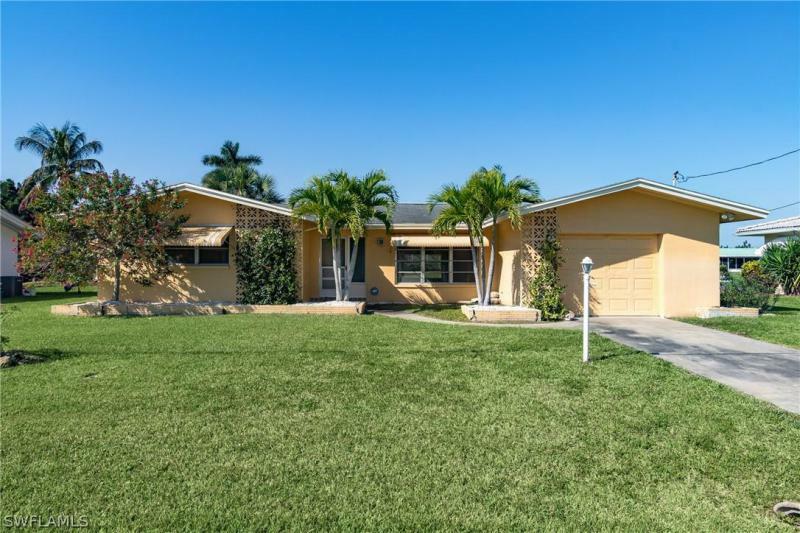 Don't miss this great opportunity to purchase a beautiful home in the great city of cape coral.